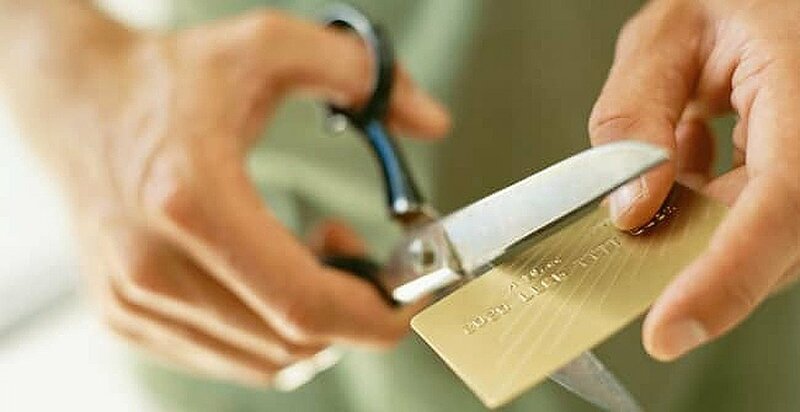 Credit card debt is incredibly common in America, but letting it get out of control can result in financial destruction. Follow these steps to effectively pay off your debt and enjoy financial freedom. Sometimes when people are in major credit card debt, they feel overwhelmed and may stop opening the bills. If you’re going to take control of your credit card debt, it’s time to take the music and tally up the damage. It may be difficult to take an honest look at the hole you’ve dug yourself into, but you can’t move forward without it. Look up all your balances and make a chart that details how much you owe and at what interest rates. This will help you form a clear picture of what you have to tackle. Now that you know exactly how much you owe to your creditors, it’s time to make a payoff plan. First, add up your minimum monthly payments. Are you able to pay this amount every month? If not, make a list of your monthly income and your required monthly expenses (leave off anything not necessary, like shopping or eating out). You may find some wiggle room here. Yes, this means putting your remaining disposable income toward debt instead of fun times, but it’s worth it in the long run. Note you cannot get out of debt anytime soon if you only make minimum payments. Interest will keep building and you won’t make much progress. Have you crunched the numbers and found you can’t make your minimum credit card debt payments? Call your issuers right away and let them know your problem. They may be able to help you make a payment plan. If they are unable to help you, call a legitimate credit counseling company. They can help you create a plan you can afford. introductory APR. Then transfer all of your credit card debt from other cards onto this card. It will consolidate your debt at one low interest rate, making it easier for you to pay off your balance faster since interest won’t accrue as quickly. Now that you have a plan in place, it’s important to identify what patterns and behaviors got you here. Are you regularly spending more than you earn? Are you putting things you want but can’t afford on plastic instead of saving? It’s time to start living within your means by living on a budget. Learning how to be financially responsible will help you stay debt free once you have paid off your credit card debt. Since receiving Bachelor's degrees in Political Science and Psychology, Alexandra enjoys studying socioeconomic factors in business, behavior and politics. When she isn't gathering intel on the latest trends and experts in business and finance, you can find her at the gym, searching for gluten-free goodies on Pinterest or enjoying a night out with friends.